Jelly Websites - Mobile responsive websites, blogs and landing pages will certainly get you noticed online. We create your custom design. We develop and take your site live. Imagine being able to showcase your new custom business website in as little as 10 business days* saving you valuable time and energy. Imagine updates being made to your new custom website by a real developer within 24-48 hours after you submit them. Imagine premium website hosting as long as you're a client. Now imagine an affordable fee for all these great features. Stop imagining and let Jelly Websites develop the website of your dreams. Our single and multi-page mobile responsive websites, blogs and landing pages will certainly get you noticed online. No templates used here – all of our websites are custom and developed to the specifications that fit your business needs. Give Jelly a call today and learn how we make the website building process easy, custom and affordable! *10 business day live website submission is based on a single page website and complete creative direction is given to our development team. "My new one page, that's right, only one page website from Jelly goes far beyond what I imagined. 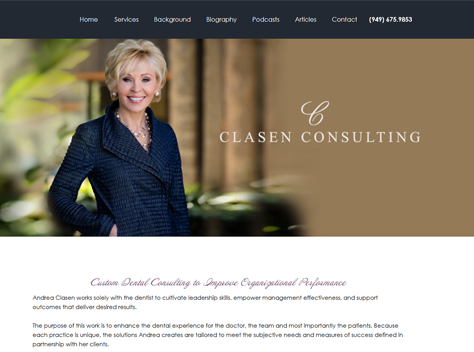 Their crew of talented website developers and designers, has transformed my original website into a simple, yet elegant design without loosing any of my online brand image. In fact, they have greatly enhanced it! Gone is the "heavy feeling" of my former site replaced by only one page that now showcases my services and provides easy access to my content. The difference is truly remarkable and it's getting noticed. 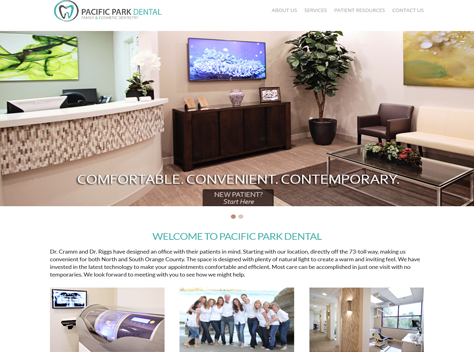 One of my clients at Microsoft describes the new site as easy, casual and formal all at the same time." "Jelly Websites goes above and beyond the call of duty. We have been using their services for about 10 years now and I have to say, they are the best!!! Very professional and they always take the time to address ALL of our needs. We are a high demand office and are constantly changing our website. They are not only fast and efficient, but they give us suggestions on how we can make things better. We have been on the top search on Google because of their knowledge and expertise. All the staff there are so helpful. They take the time and make sure we get what we want when we want it done. If you are looking for a good website company that is honest and hard-working this is the place to go." "Working with the team at Jelly Websites to create a custom website was a fully supportive and positive experience. They completely understood our brand and the market we were attempting to reach, artistically and professionally tailoring the overall look, photos, and copy for maximum impact. It is rare to find someone so attuned and competent, who as a bonus, delivers a completed website so quickly." "I love my new single page website. It looks awesome and puts out just enough information so the customer feels the need to call and find out more. It's informative without bombarding the senses and losing interest at first glance." "Jelly Websites gave me the opportunity to present my message using a new website platform based on a continuous single page format. They took the lead and based upon my vision created a high tech design that made my healthcare topic easy to navigate and more fun to use." "The Jelly Website team did a great job creating a web page for Norco Educational Support Team. The team worked quickly and professionally to get the project completed. We were very satisfied with the results and the customer service." "Wow, this is awesome! I am impressed! Thanks for the emergency help!" "Jelly updated my previous website into a single page that gave me an updated image. My clients can find me and the information they are looking for in seconds and it took less than an hour of my time." Please call our office at (951) 371-9327 Ext.106 and request a pin number. Once you receive your 6-digit pin number, please enter it below to connect with one of our technicians.